“On the same spring evening that Mulla Husayn had first found the Bab in Shiraz – May 23, 1844 – a healthy boy with dark hair and blue eyes was born in Tehran. His parents named him ‘Abbas, which means “Lion.” When he grew up he would take the name ‘Abdu’l-Bahá. . . .
. . . . .At twenty-six ‘Abdu’l-Bahá moved with the graceful strength and energy of a young lion . . . People thought he was tall when they looked at him, though he was only of medium height, for they could not help but see something of his greatness of spirit – a strength of will, a power of mind, a deep love and compassion for others that reached far beyond the ordinary. . . .
in The Story of Baha´u´llah? 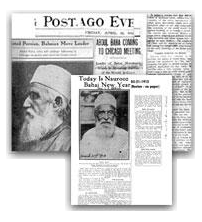 ‘Abdu’l-Bahá was Baha’u’llah’s eldest son, whom Baha’u’llah called “Aqa” (the Master) and the “Mystery of God.” His story is a natural part of The Story of Baha’u’llah. Chapters 55, 56, 62, 68, 69 especially focus on the adult life and qualities of ‘Abdu’l-Bahá, His relationship to Baha’u’llah, and His station in the Baha’i Faith. ‘Abdu’l-Bahá at age twenty-eight marries Munirih Khanum; her story. love between father and son. Baha’u’llah’s passing and ‘Abdu’l-Bahá’s deep sorrow. 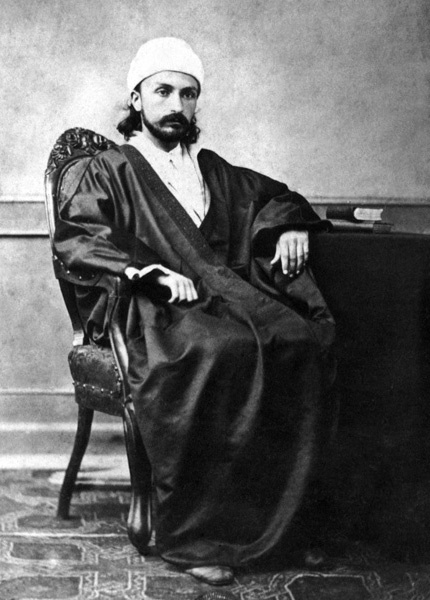 ‘Abdu’l-Bahá appointed Center of Covenant by Baha’u’llah in His Will and Testament. ‘Abdu’l-Bahá writes to Baha’is of the world. 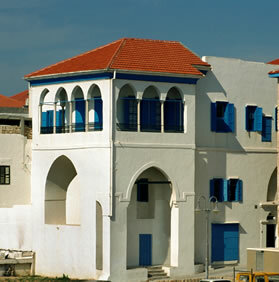 For ‘Abdu’l-Bahá, a day in Acre began at early morning tea with the family. The children loved this timewith their father. He would chant prayers and tell them stories about the holy ones – about Christ and His mother, about Muhammad, Moses, and the other Prophets. When he was ready, ‘Abdu’l-Baha would take his leave and walk across the street to the biruni – a large room he had rented for receiving visitors. There he began the day’s work. Looking out their windows, the children would soon see a crowd begin to gather. People were coming to request help from the Master. Some brought matters of injustice: A man might be falsely accused of wrongdoing, a woman beaten by her husband, or a child mistreated. With each one, ‘Abdu’l-Bahá would send a person to the courthouse to speak to the judge and appeal for justice on behalf of the one in need. The sick of Acre, too, received ‘Abdu’l-Bahá’s loving attention. The city had no hospital, and it was ‘Abdu’l-Bahá who paid a doctor to care for the very poor. Each day ‘Abdu’l-Bahá sent a servant to look in on those who were ill and inquire about their needs. Just as often it was ‘Abdu’l-Bahá himself who took the time to visit. In one month he made twenty visits to a poor, elderly couple who were too ill to get out of their bed. ‘Abdu’l-Bahá attended to all their needs. ‘Abdu’l-Baha quickly took action. He found a room for the sick woman and gave his own bedding to make her comfortable. He sent a doctor to see her and found a woman to take care of her. He sent food and made sure Na’um had everything she needed, but she did not recover. Because of ‘Abdu’l-Baha’s kindness, however, her last days were peaceful. When she died, ‘Abdu’l-Baha arranged and paid for her simple funeral. 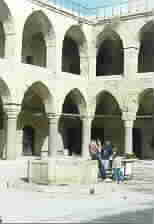 The leaders of Acre gathered, too, at the biruni of ‘Abdu’l-Bahá. Shaykhs and officials of the court brought their most challenging problems to him, certain that the Master could help sort throught their complexities and arrive at the best answers. The governor brought newspapers with reports of current affairs in nations near and far. Sitting in the biruni and sipping cups of strong coffee, the governor and other guests would talk over the news of the day. On every topic they valued the comments of ‘Abdu’l-Bahá, whose explanations and insights added much to the content of their discussions. So passed the days of the Master. 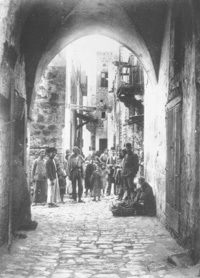 From early morning to late in the evening, ‘Abdu’l-Bahá served the people of Acre. In Tehran and Baghdad the poor had called Baha’u’llah “Father” for His tender care, and many had come to seek His counsel. 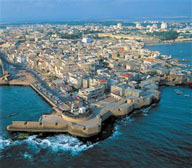 Now in Acre it was ‘Abdu’l-Baha who walked in the footsteps of his father. He neglected nothing except his own rest and food. 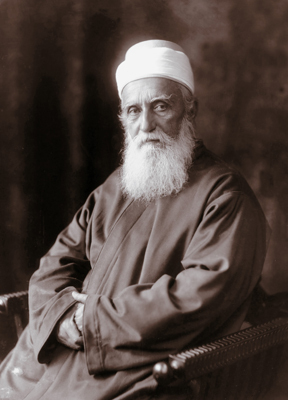 1912–2012 A Centenary Note: In 1912, at the age of sixty-eight,‘ Abdu’l-Bahá journeyed to America. Over the course of nine months He spoke to several thousand people and met with countless individuals. Accompany ‘Abdu’l-Bahá on His journey at this Baha’i Centenary site. Although it falls outside the time of The Story of Baha’u’llah, I include it here for its timely interest. Photos reprinted with permission of the Baha'i International Community.